Cristina Henríquez is the author of The Book of Unknown Americans, which was a New York TimesNotable Book of 2014 and one of Amazon’s Top 10 Books of the Year. It was the Daily Beast Novel of the Year, a Washington Post Notable Book, an NPR Great Read, a Target Book of the Month selection, and was chosen one of the best books of the year by BookPage, Oprah.com, and School Library Journal. It was also longlisted for the Andrew Carnegie Medal for Excellence in Fiction and was a finalist for the Dayton Literary Peace Prize. Arturo Rivera was the owner of a construction company in Pátzcuaro, México. One day, as his beautiful fifteen-year-old daughter, Maribel, is helping him at a work site, she sustains an injury that casts doubt on whether she’ll ever be the same again. And so, leaving all they have behind, the Riveras come to America with a single dream: that in this country of great opportunity and resources, Maribel can get better. With eight short stories and a novella that travel from dusty city streets to humid beaches, Cristina Henríquez carves out a distinctive and unforgettable vision of contemporary Panama. 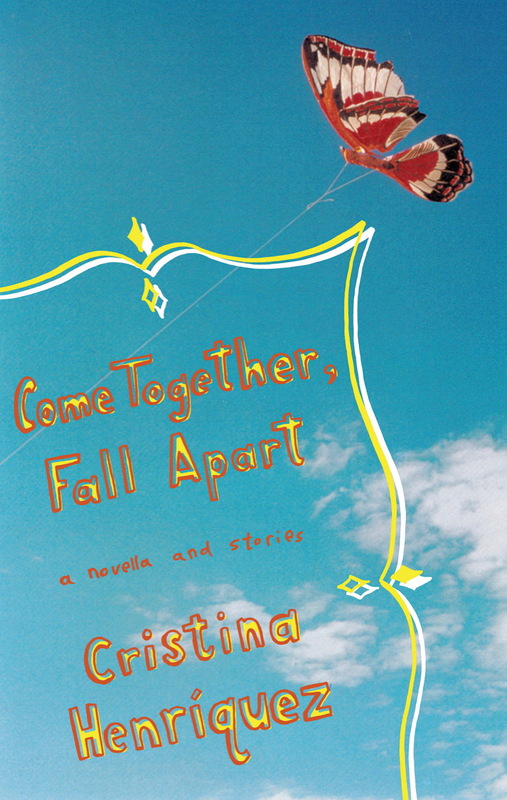 The stories of Come Together, Fall Apart combine to create a seamless fictional world in which the varied landscapes and shifting culture of a country in transition—and the insistent voices of its young people—are vividly represented. We meet Henríquez’s gracefully realized narrators as they confront love, death, freedom, and betrayal—always with hope, always with determination, and all the while aware that the past still haunts the present. These are stories of family bonds and generational conflicts, youthful infatuation and genuine passion that are tender, ambitious, and unflinching, from a bold and original young writer who is not only an accomplished prose stylist but also an irresistible storyteller. Come Together, Fall Apart heralds the arrival of a fresh, exciting, and lavishly talented new voice in American literature. You can email Cristina directly at cristina [at] cristinahenriquez [dot] com.